This bracelet is made of 8mm Lapis Beads with natural striations of white and blue shades creating a bold look that can be worn in all seasons. 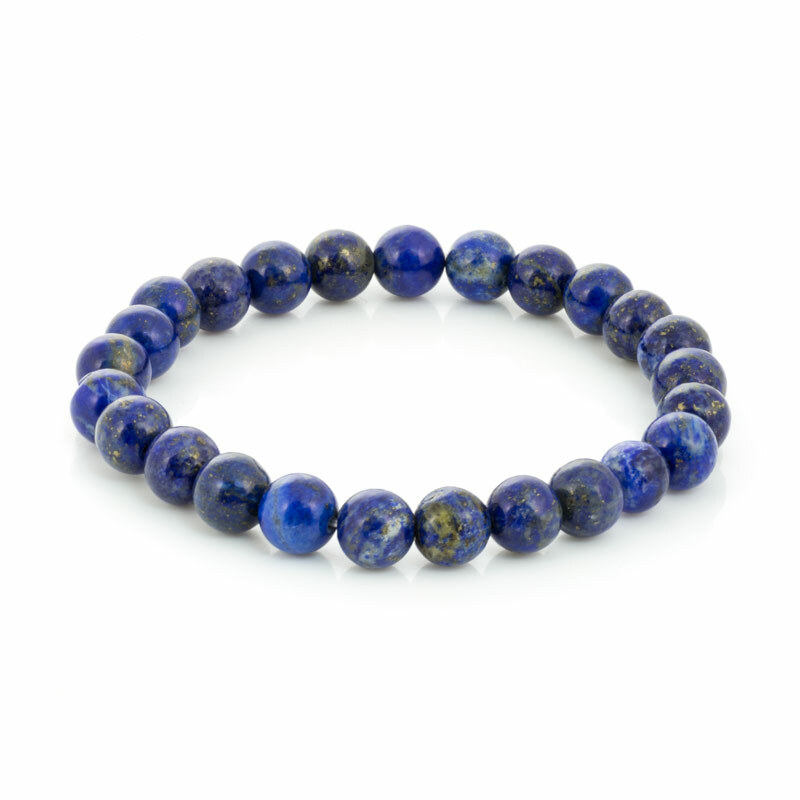 A beautiful bracelet with genuine Lapis Lazuli beads and a pure, energizing vibration. Q: Are the beads in this bracelet actually real Lapis gemstones? 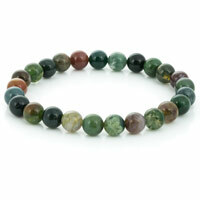 A: Yes, real Lapis Lazuli 8mm gemstone beads are used to create this bracelet. When closely inspected, you will find the deep blues and small golden flecks that give the gemstone its name. 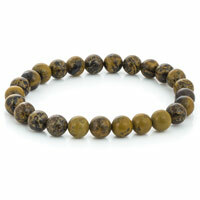 Q: what is the size of the beads in this bracelet? A: The bead size is 8mm.